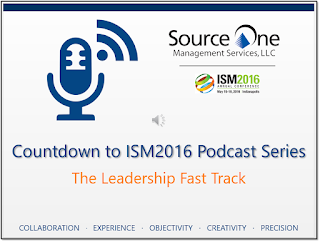 Home Events Multimedia Procurement Transformation Source One News The Leadership Fast Track at ISM2016! 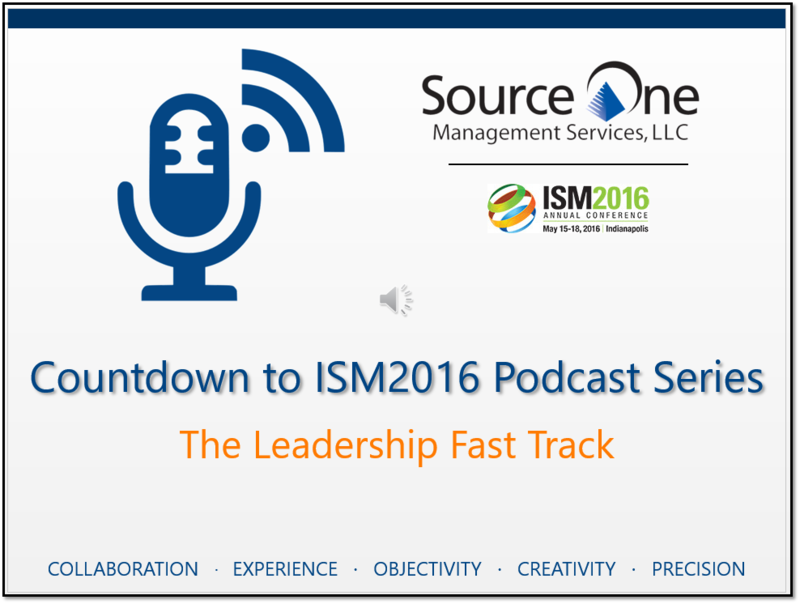 This week’s episode of the Countdown to ISM 2016 Podcast Series is a spotlight on The Leadership Fast Track, a People Learning Track session. Scott Ottenheimer, Vice President at QBE North America, joins us sharing his vision for the Annual Conference and how he and his team will be taking advantage of the learning and networking opportunities ISM offers. Ottenheimer also shares insights into the details of his session, The Leadership Fast Track. He explains how this track aims to help conference attendees understand what breeds success for both employees and their managers in procurement and supply chain management -taking a look at how people move up throughout the organization and what strategies they implement in order to grow their career. This ultimately comes down to innovation: how to creatively discover new opportunities.